DIRECT WATERFRONT-Built with the highest quality in 2008, this waterfront home is simply phenomenal! Enter into a fabulous foyer and walk thru leaded glass doors to beautiful inlaid hardwood floors and a majestic staircase. 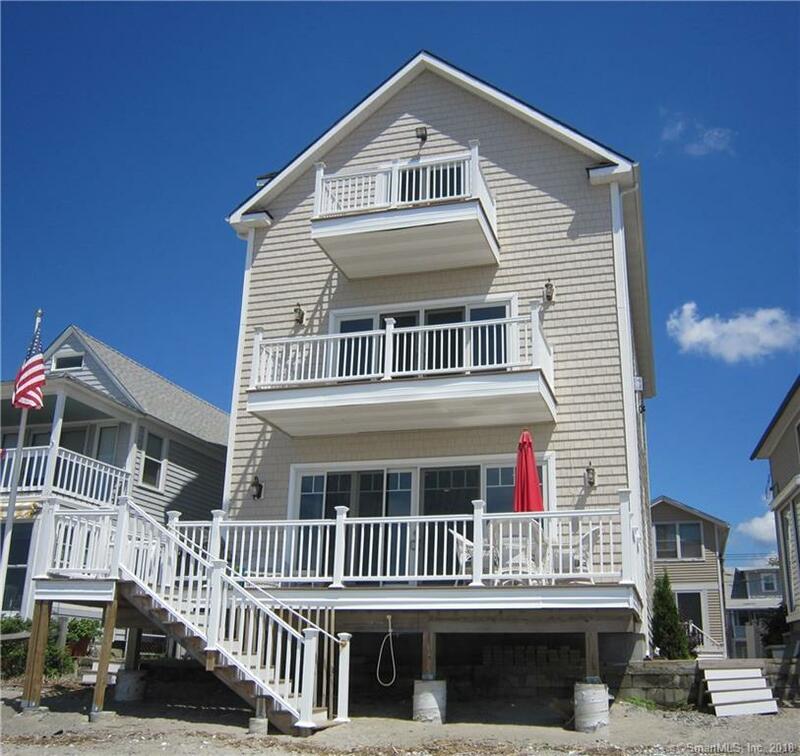 This open floor plan incorporates a high end kitchen with breakfast bar, living room with gas fireplace, built-ins and dining room, all with the backdrop of LI Sound! Double sliders lead to the deck with panoramic views. There is a main level office or bedroom with an adjacent full bath with walk in shower and glass tile. Second level master suite features full bath with walk in shower, jet tub and double sinks. Cozy sitting area with gas fireplace and amazing views thru sliders leading to private deck. Two additional bedrooms and full bath complete this floor. Third level bonus room, family room or bedroom has the vest views of all from the private balcony. All this AND a separate two bedroom cottage, currently rented month to month for $1,600 at 25 Melba St. Possible au pair or in-law set up in main house. This property has possibilities galore!! Also available for rent at $5,000.00 per month.